As with any President, Mr. Obama has not lived up to all the expectations thrust upon him when he took office. From restoring the economy, to pulling the troops out of Iraq within 18 months of his term, and not putting in place a true universal health care bill, there have been many missteps and hurdles. This article is not about judging any of the policies he has or hasn’t put in place either. 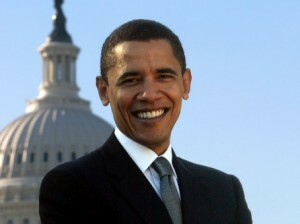 What I do find very interesting about the place we are at now in late October 2011 is that the one thing that Prez. Obama was seen weakest at during the election cycle of 2008 is the now the thing his opposition probably won’t go near with a 100 foot pole. Namely, his foreign policy credentials as Commander in Chief. I’m not agreeing or disagreeing with Obama’s policies or actions nor the act of ordering the entry of a sovereign nation’s land and killing a target; simply making general observations. As far as being a strong John Wayne, Clint Eastwood gunslinger type with Shaft like cool in the Global sphere; he has been spot on. Love it or hate it, War is what it is; Old men talking and young men dying. In this case the old man is Obama and he has engaged in his battles of choice with a sense of ease and calm and decisive action, probably not expected of him at the outset of his first term. So where are we then? We are now at a point where the so called Hippy from Hawaii, who came into the Oval Office with a peace sign on his shirt and a dove in his hand has now put together one of the more impressive line of military successes (From the US point of view) in modern time… Maybe the most impressive. From the ordered killing of the Somali Pirates and Bin Laden and now the “Leading from Behind” strategy and ultimate ending of Gaddafi (all without US deaths) combined with his declaration that the troops will be out of Iraq by year end; Obama’s Commander in Chief credentials are now without question. This will be interesting going into the election cycle next year as one of the most pervasive and common attacks on Liberal or Democratic Party candidates is usually their foreign policy and strength. Unless something drastic happens in the near future, the Republican candidate will have to narrow in on domestic issues alone; which given the current state of the economy is not a bad idea. Bill Clinton said it during his Presidency and it holds true, “It’s the economy stupid.” I have no doubt that in this current economic time during what is commonly referred to as the “Great Recession,” the economy again will rule the day and voters in 2012 will decide who they want to be the Most powerful man in the World based on who they think will help their pocketbooks the most. All that being said, Obama not having to fight the Right-wing on his strength as a world leader and enforcer will make the Republican candidate’s job that much harder to defeat him even in a time when his approval rating is extremely low. Let’s see how it all shakes out, but in the mean while, I dare anyone out there to put together a more impressive resume of cheap (relatively speaking), efficient, and popular military victories in the span of a year or two for any President in the last 50 years. Moreover, aside from a few nations, the other world powers still seem to like Mr. Obama even with his obvious tendency to ignore sovereignty at times and take action unilaterally. The surfing Hawaii Hippie is the New Age War President that the conservatives will run away from when the topic of foreign policy and National Security surfaces… Imagine that!